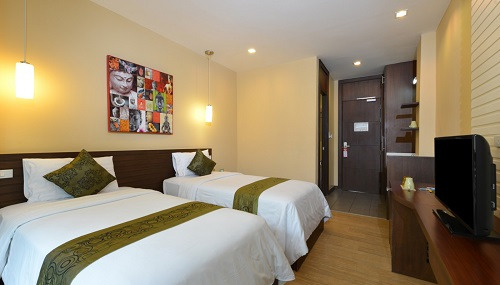 Book Budget Hotels in Bangkok!! iCheck inn Silom is one of the best prominent hotels in Bangkok provide good and budget accommodation to travelers who want to visit here. Enjoy your trip and family holiday at an affordable rate. Services - Shower, air conditioning, Satellite TV, TV, Alarm Clock, WiFi, Minibar, Iron and board (On Request), In-safe Deposit Box.